Falstaff Beer - Incredibly rare 1967 Radio Spot for a now defunct beer. 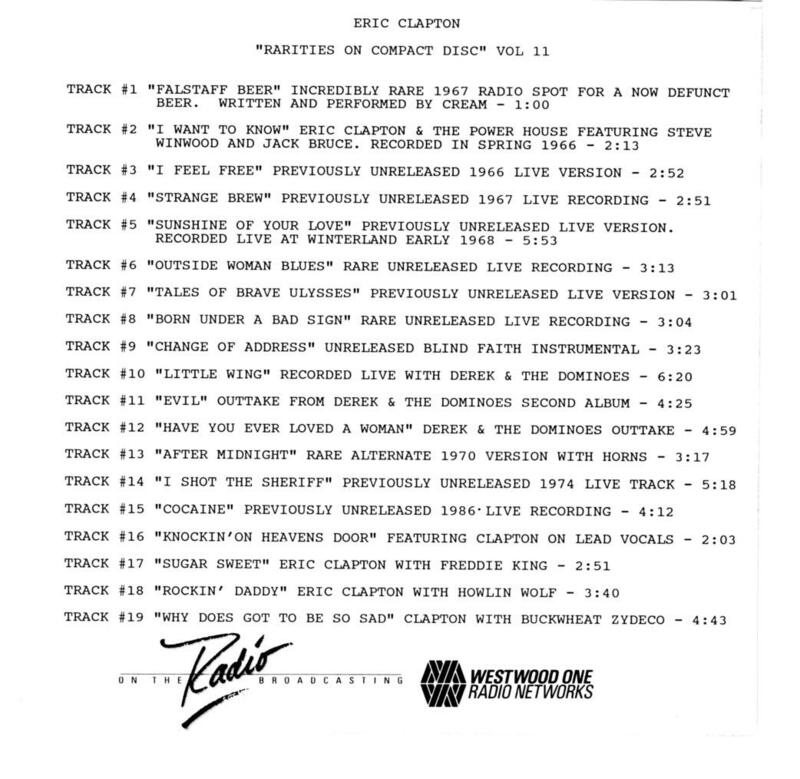 I Want to Know - Eric Clapton and the Powerhouse. I Feel Free - Previously unreleased 1966 live version. Strange Brew - Previously unreleased 1967 live version. Sunshine of Your Love - Winterland, 1968. Outside Woman Blues - Rare unreleased live recording. Tales of Brave Ulysses - Previously unreleased live version. Born Under a Bad Sign - Rare unreleased live recording. Change of Address - Unreleased Blind Faith Instrumental. Little Wing - Live with Derek and the Dominos. Evil - Outtake from D&D second album sessions. Have You Ever Loved a Woman - D&D outtake. After Midnight - Rare alternate 1970 version with horns. I Shot the Sheriff - previously unreleased 1974 live track. Cocaine - Previously unreleased 1986 live recording. 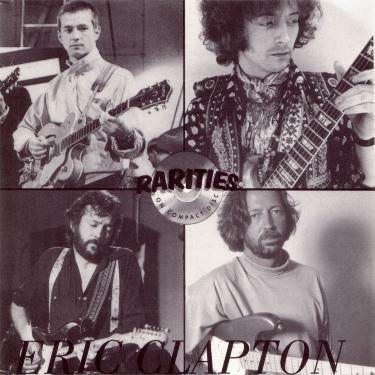 Knockin On Heaven's Door - Featuring Clapton on lead vocals. Sugar Sweet - Eric Clapton with Freddie King. Rockin' Daddy - Eric Clapton with Howlin' Wolf.